If you’re looking for the next big thing to hit Broadway for a night of laughter, entertainment, singing, and dancing, then look not further than the smash-hit After Midnight. 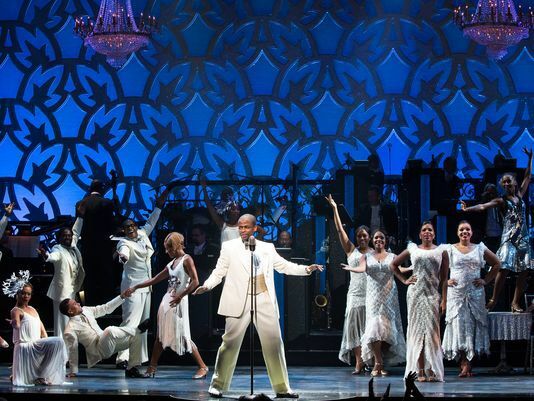 The new musical takes the audience through an exciting adventure that was Harlem’s Golden Age and no expense was spared on the glitz and glam of it all. You’ll get lost in the iconic melodies, tunes, and rhythms of legends Cab Calloway, Duke Ellington, Harold Arlen, and other musical pioneers of the era. The dance routines and musical numbers are brought to life by American Idol’s Fantasia Barrino, esteemed actor Dule Hill of the television series Psych, along with performances by Adriane Lenox. After Midnight truly pays homage to Harlem’s Cotton Club and will have a rotating roster of celebrity guest performers including K. D. Lang, Toni Braxton and Kenny Edmonds (Babyface). What’s even more impressive about this festive musical on Broadway is that the finger-thumping and feet-tapping songs and sensational dance steps are all connected through the prose of Langston Hughes. The dance numbers are brought to life by the uber-talented Jazz at Lincoln Center All-Stars and an orchestra of 17 of the most sought-after musicians in the world that were personally selected by 9-time Grammy Award winner Wynton Marsalis. This evening of exuberant dance, infectious tunes, Harlem mystique, and over-the-top decadence is not to be missed.